That man for all seasons Mr Jack White has taken on the queen of rockabilly, Wanda Jackson – giving her the same treatment he successfully lavished on Loretta Lynn a few years ago. The 11 track album includes raw voiced and raunchy covers like Shakin’ All Over, Amy Winehouse’s You Know I’m No Good and Dylan’s Thunder On The Mountain with a backing band that includes White, My Morning Jacket’s Carl Broemel and The Greenhornes’/Raconteurs Patrick Keeler and Jack Lawrence. The 73 year old Jackson was a legend of the rockabilly scene in the 50 and 60s and an early friend of a certain Elvis Presley who encouraged her to explore a variety of music styles. The Party Isn’t Over is out this month on Nonesuch Records. 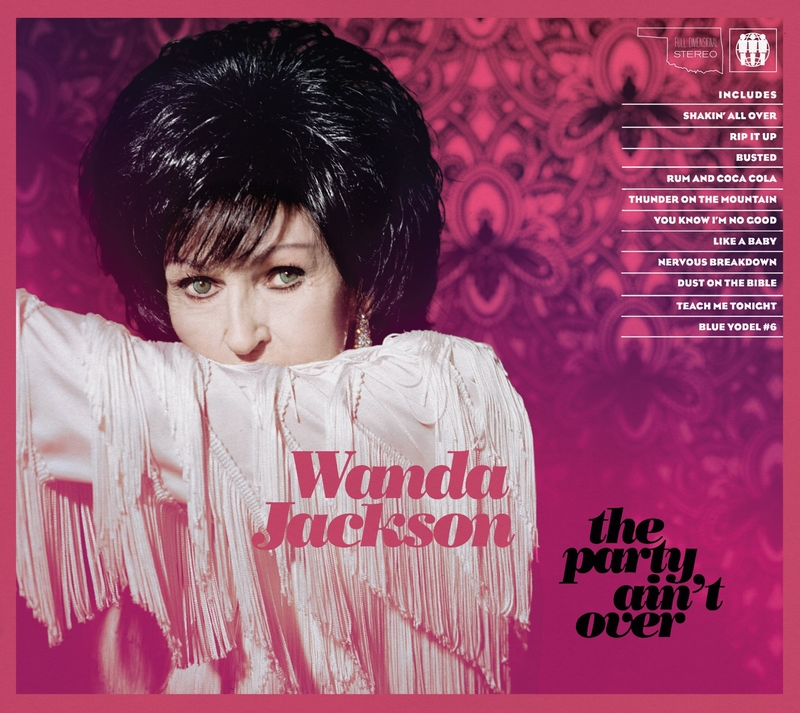 Tags: Jack White, The Party Isn't Over, Wanda Jackson. Bookmark the permalink.